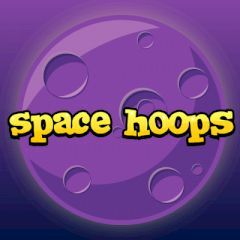 Space Hoops is a game where you have to play unusual basketball. Select a type of the ball, click play and start your challenge. Every ball has its own properties, so you have to adapt. Set optimal trajectory and score balls, get more points for consequent and clean shots and set the best score. Time is ticking, so do it quickly!